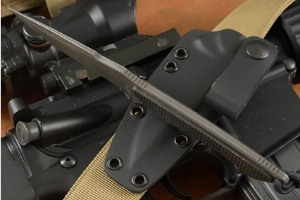 It is the intent of Spartan Blades to provide the modern warrior and outdoorsman with knives that will serve them in a variety of missions and environments. 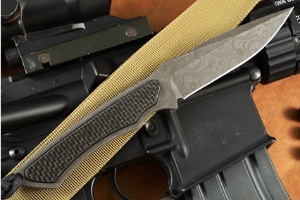 Their intent is not to provide a cool knife or the next great pry bar, but rather produce a knife that is highly functional, made from only premium materials and techniques that looks great too! Phrike is the goddess of fear in Greek mythology. Her name literally means "tremor, shivering". This small, lightweight blade was specifically designed to be carried as a self defense tool or bushcrafting knife. Its short 4-1/4 inch blade and inset handles make it very comfortable and slim. This useful blade can be used on a daily basis to manage common tasks or for use in unexpected situations or emergencies. The slim format lends itself well to concealed carry and keeps the weight down to an absolute minimum. The ease of carry, cutting edge materials and absolute reliability make the Phrike an absolute must-have for anyone looking for a no-nonsense edged tool for every day carry. 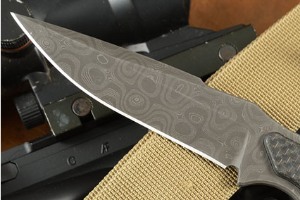 The blade on this limited edition Phrike is made from Chad Nichols' stainless raindrop damascus, ensuring both beauty and a long lasting, keen edge. Lightning strike carbon fiber scales are inlaid into the integral handle creating a sure grip. 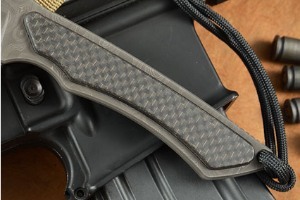 This type of carbon fiber was originally designed for use on fighter jets to redirect electricity. 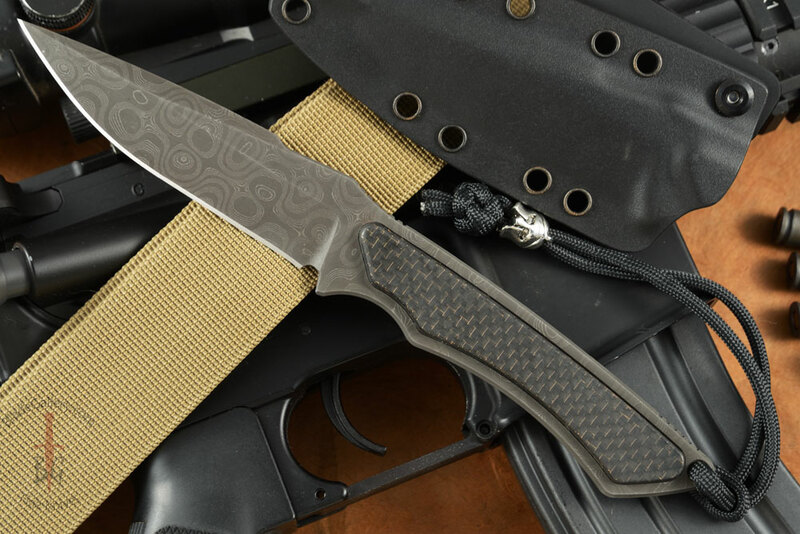 Lightning strike carbon fiber is among the hardest to find knifemaking materials. A Spartan helmet bead at the end of the lanyard adds a nice finishing touch.